An investment piece, yes. A regret, never. Meet the Double Breasted Raglan Coat by Edmonton-born designer Angélique Chmielewski. 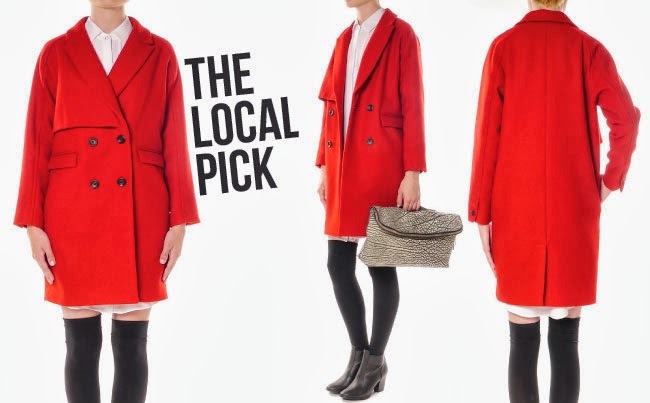 In a brilliant shade of poppy and 100% wool, this will be your go-to coat every chilly season from now until death. Also featured in the latest issue of FASHION Magazine. Available at Coup Boutique ($850 CAD). Love this for fall! Especially once it starts getting dark early and we all need a pop of color! Even better that it's from and Edmonton designer! Love the coat but there is no way I am spending $850 on it! !